Beautiful young woman doing squats in a gym. 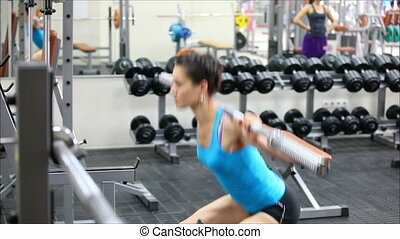 Front view of a beautiful young woman with long hair doing squats in a gym. locked down real time medium shot. 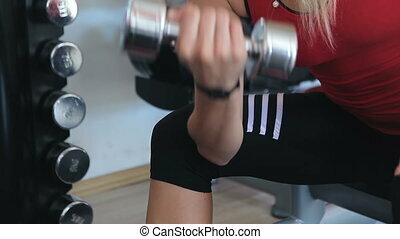 Young woman doing exercise with a dumbbell in the gym. 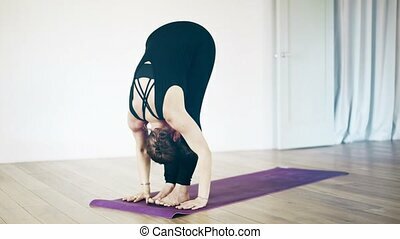 beautiful sporty woman doing workout in gym. 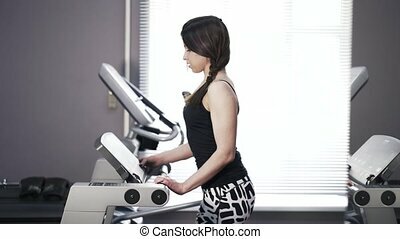 Young woman wearing zebra legging is doing leg raises on a machine in a gym. Handheld real time medium shot.